There are many holidays I grew up celebrating in grade school that were never even mentioned once I got home. My parents did not understand what American holidays and celebrations like Memorial Day, Independence Day, Valentine’s Day, Columbus Day and Halloween were about. A lot of the time, they were just happy to have the day off with pay. But despite not celebrating a majority of the American holidays in my home, there is one that my family maybe doesn’t know the history or symbolism, but does celebrate wholeheartedly – Thanksgiving Day. To my parents, Thanksgiving Day was an opportunity to spend time with the entire family and give thanks for everything that we had. Because Thanksgiving isn’t traditionally part of the Latino culture or heritage, we adopted the holiday and made it a tradition of our own. 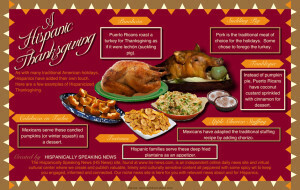 We have the traditional Thanksgiving meal, but as you’d expect, every dish and recipe has a Mexican twist. When my non-Latino friends would come over to have Thanksgiving dinner with us, they were always surprised at the different ways we would prepare our food. Our turkey is stuffed with a jalapeño stuffing; instead of serving biscuits, we serve Mexican Bolillos; instead of having casserole, we have tamales; even our mashed potatoes are seasoned with different spices to give it an extra kick. In my family, food is an extremely important part of our culture – everything from the preparation to the way we eat it. However, on Thanksgiving Day the most important aspect of the holiday to my family is giving thanks to everyone who helped our family make it to the United States and helped us through the tough times we endured as new immigrants to this country. 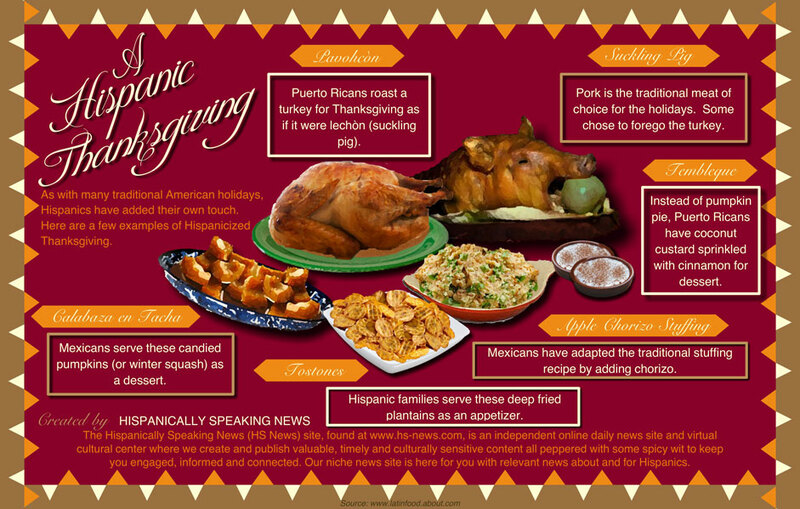 Although this holiday does not necessarily belong to Latinos, there are certainly aspects of the holiday that resonate with the Latino community and we appreciate it as a new tradition of our own. The holiday was originally set aside to give thanks to the Native Americans who helped the original American settlers survive their first years in the new world. In the beginning, Anglo-American were immigrants to this land just like many Latinos are today. Like my family, many Latinos use the holiday to realize and give thanks to all those who helped them come here and survive in this new country. Growing up and celebrating Thanksgiving Day from my parents perspective and from an American point-of-view has given me a perspective as to how I’ll celebrate the holiday in the future with my own family. Thanksgiving will always be about spending quality time with the entire family, enjoying Thanksgiving dinner with a Mexican twist and giving thanks to all the people in our lives who have helped us get to this point.